I LOVE learning with food! LOL! 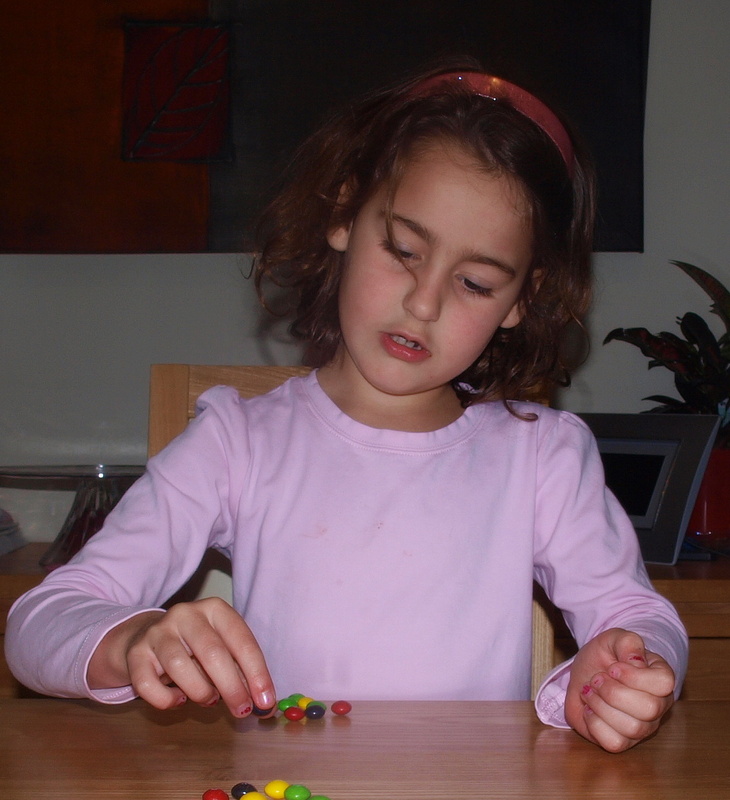 Have you seen the book called Skittles Riddles Math by Barbara Barbieri McGrath? There are all kinds of books to teach math using different candies and food. I love the ones by her or Jerry Pallotta (Hershey's, Twizzlers, M&M's). I have several and they are so fun! The girls also like to trace shapes and letters with shoe-string style twizzlers. We love Skittle math, too. And, MaryLea...we use Smarties to teach place value. Take out all the Smarties from a roll except 10. That is your tens and all the single smarties are your ones. This math lesson was definitely sweet. I might play something like this with daughter too, it looks like fun. Perfect game in estimation and sharing! Another variation would be to use a spoon or a scooper to estimate how much can fit in each scoop! Thanks for linking! 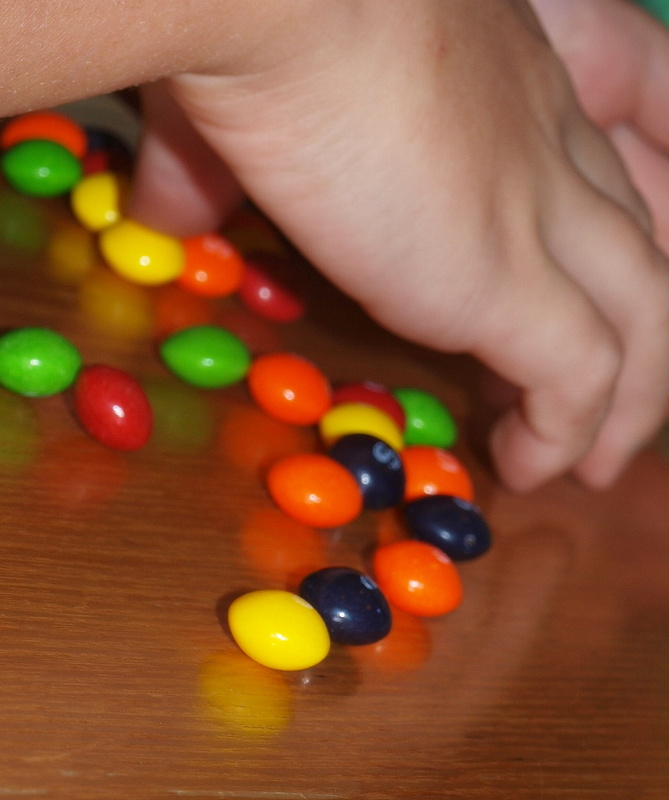 I have played this with M&Ms, Smarties and Fruit Loops coloured cereal. 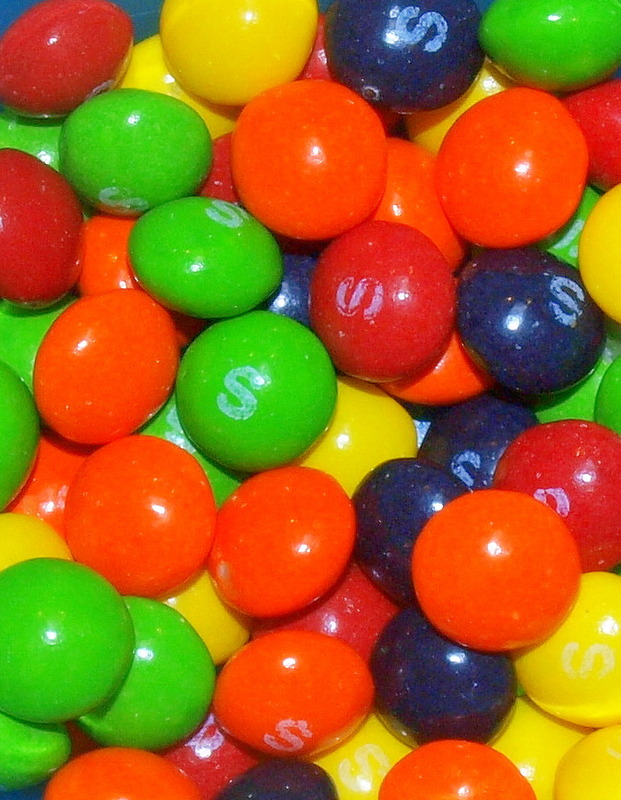 It is also fun to graph the colours or guess how many Skittles will fit into a lid, small container or drawn shape. Oh YUM! What a great way to learn. I think my children would enjoy this.